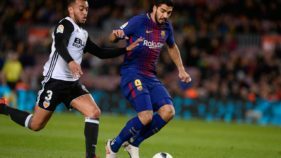 Luis Suarez booked Barcelona's place in a fourth consecutive Copa del Rey final but was sent off as a bad-tempered 1-1 draw with Atletico Madrid on Tuesday secured a 3-2 aggregate win. 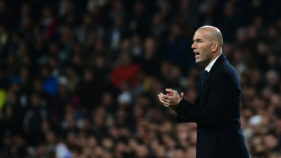 Real Madrid boss Zinedine Zidane insisted there is still plenty for the European champions to be positive about on Saturday despite a run of just one win in five games. 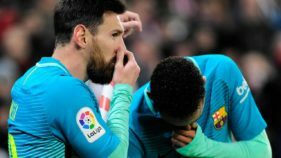 An excellent Cristiano Ronaldo free-kick couldn't prevent Real Madrid from being dumped out of the Copa del Rey as a 2-2 draw at Celta Vigo on Wednesday allowed the hosts to progress to the semi-finals 4-3 on aggregate. 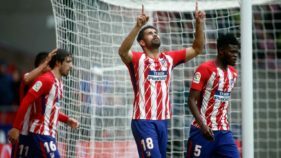 Athletic Bilbao held out with nine men to secure the first win over Barcelona in four years and carry a 2-1 lead into the second leg of their Copa del Rey last 16 tie on January 11. 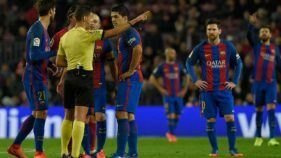 What has gone wrong at Valencia? 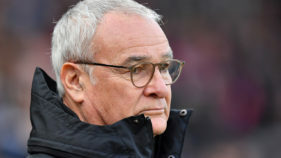 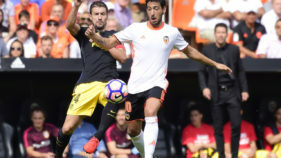 There was to be no happy New Year for Valencia as their miserable season continued with a 4-1 thrashing at home to Celta Vigo late Tuesday to leave Los Che almost certainly out of the Copa del Rey.